While not an exciting bulb shot, I thought it was a bit timely, with all the clever bulb shots around at the moment. A couple of days ago, Theen turned on a light, only to hear a small explosive sound inside the light fitting. 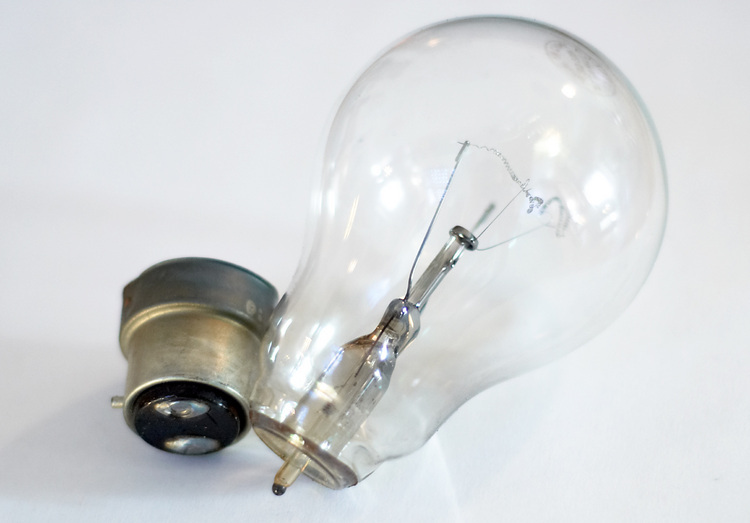 When I finally got around to opening it up, I found the glass bulb had cleanly sheared away from the bayonet mount. If you want to see some clever bulb shots, check out chromasia, Round Here, and Hot Pixel (sorry if I've left anyone out). Details: Nikon 50mm 1:1.8D, f/1.8, 1/40s, ISO 200, cropped, levels, curves. I kind of like this. The lightbulb in two parts is unique, and you made a nice exposure. Good shot. Nice shot - great exposure and detail.